Bloomington, Indiana – March 1, 2017 – March is National Kidney Month, which is a month-long, awareness-raising grassroots effort to spread the word across the country about the importance of kidney health. A Georgia family knows all too well the life-saving difference a healthy kidney can make. Their little girl received her first kidney transplant 12 years ago. After the stomach flu caused the kidney to be rejected, their now teenage daughter is back on dialysis … waiting once again for a new kidney. Kennedy Williams was born in May 1998, to Frederick and Pamela Williams. They were no strangers to parenting because they already had three children at home — Jayla, Jason and Brandon. This Rome, Georgia, family of five was excited to welcome Baby Kennedy home to make a family of six. According to Pamela, Kennedy cried, played and seemed to grow as the other children had. There was one red flag that Pamela and Frederick can think of during those child-rearing days, and that was Kennedy’s diapers not being wet as often as the other babies. But they did not consider it to be a problem, and felt she would grow out of it. Kennedy continued to grow and play with her siblings, but the family started to be concerned when each time the little girl played outside, she would come in with swollen eyes and a swollen stomach. When Pamela and Frederick asked the pediatrician about Kennedy’s odd reaction to being outside they were told not to worry, it was likely due to allergies. However, Kennedy’s parents started putting several pieces of this puzzle together and began being more insistent with their doctor to find another answer. They were convinced Kennedy’s symptoms could not solely be due to allergies. As time passed, and as ‘allergies’ continued to be the diagnosis, they found a new doctor for Kennedy. In the spring of 2000 as Kennedy was approaching her second birthday, a team of doctors in the Atlanta area diagnosed the toddler with nephrotic syndrome — a kidney disorder that is characterized by a loss of protein through the kidney. This ultimately leads to low protein levels in the blood. In Kennedy’s case, it also resulted in excess fluid in her abdominal cavity, arms, face and legs. Once diagnosed, Kennedy started to spend one or two days in the hospital and over time the little girl started enduring week-long hospital stays. Pamela remembers the sad, little girl who at the age of five had to take 20 different medications at one time, which at that age was a nightmare. The struggle to get Kennedy to take these medications was stressful and in the end her doctors surgically inserted a tube in her nose where her daily medicines were given. While in surgery, she also had a peripherally inserted central catheter (picc) line inserted in her arm and a mic button was inserted in her stomach for tube feedings. All of this so five-year-old Kennedy could stay alive. “We were convinced Kennedy would grow out of this, or it would pass, and she would be able to live a normal life,” said Pamela. But instead of getting better, her medical situation worsened and at the age of eight, Kennedy underwent surgery to have both of her kidneys removed. She was put on hemodialysis. Hemodialysis was a new challenge for this large family because it meant Kennedy had to be driven from their home in Rome, Georgia, to Atlanta (90 minutes one way) three times each week for the procedure. The reality was Mom had to miss work one week and then Dad had to miss work the next. Pamela and Frederick said this started to take a toll on their employment status and on Kennedy’s school work. Eventually it became unworkable for the family. Kennedy underwent yet another surgery to have a peritoneal dialysis tube inserted so they could start doing her dialysis at home during the night when the little girl was sleeping. At this point in Kennedy’s medical journey, Pamela and Frederick were told a kidney transplant was the only long-term option for survival. Both of Kennedy’s parents were tested to be her kidney donor, but neither one was able due to medical complications. Finally, in April 2005 when Kennedy was nearing her 7th birthday they received the call saying a kidney was available. On April 5th (Easter Sunday), Kennedy received her life-saving kidney transplant at Children’s Healthcare of Atlanta at Egleston, but there were complications. 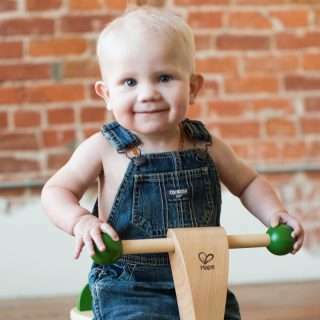 Kennedy endured many post-transplant blood transfusions, plasma exchanges and biopsies. In 2008, Kennedy came down with the flu and her body started to reject the only kidney she had. Eventually Kennedy lost her transplanted kidney; her family was devastated. Pamela called the Children’s Organ Transplant Association (COTA) in December 2013 to learn more about fundraising for transplant-related expenses. There were many family members, church friends, middle school teacher colleagues of Mom and neighbors who were anxious to find something they could do to help reduce the Williams’ family stress level. COTA uniquely understands that parents who care for a child or young adult before, during and after a life-saving transplant have enough to deal with, so COTA’s model shifts the responsibility for fundraising to a community team of trained volunteers. COTA is a 501(c)3 charity so all contributions to COTA in honor of Kennedy are tax deductible to the fullest extent of the law, and these COTA funds are available for her lifetime. According to Pamela, Kennedy is a fighter. 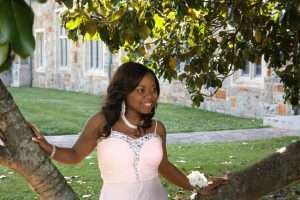 She was able to graduate from high school in May 2016 and one of her dreams came true when Kennedy was crowned Prom Queen her senior year of high school. Kennedy’s wish, in addition to getting a new kidney, is just to be normal like her friends. She is taking college classes so Kennedy is well on her way. Pamela and Frederick believe the call for Kennedy’s kidney will come soon, and they are so thankful for COTA’s guidance and support as they wait and try to make sure Kennedy is living life to the fullest. “COTA provided our family with the ability to pull together a team of our friends and family who wanted to do something to help. COTA’s team truly cares about each transplant family they are helping,” said Pamela.